A protest rally against merging of ex- Fata and in favor of separate province was held here in Bara Bazaar on Sunday. The activity was jointly organized by Khyber Union, Jamat-e-Islami(JI)local chapter,Awami Inqelab and Anjuman-e-Tajeraan at the main square of Bara Bazaar. 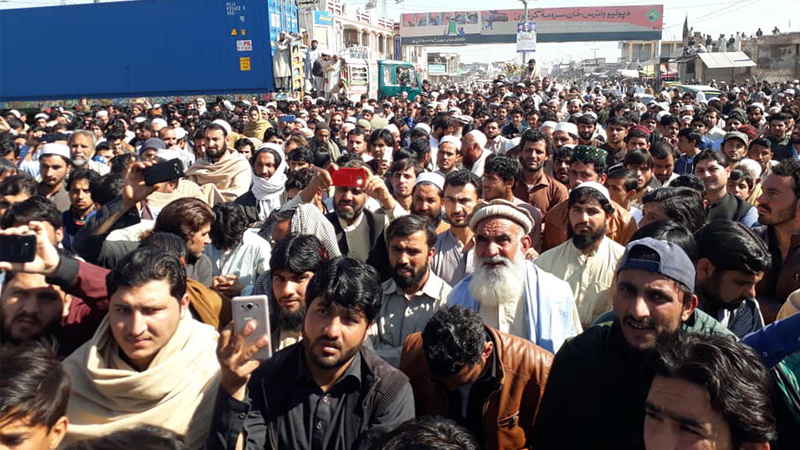 Beside the political workers large number of Khasadar force personnel and general masses participated in the protest and initiated set in at Khyber Square blocked the main road for all kind of movement. Speaking on the occasion former Member Parliament Hameedullah Jan Afridi, President Awami Inqelab Attaullah Afridi,JI leader Bara Khan Wali Afridi and others said that the main purpose of merging of tribal belt into Khyber Pakhtunkhwa was to get hold of minerals present in the Fata and not to facilitate the tribal. They maintained that on pretext of merging, the tribesmen were cheated and in spite part of mainstream ex-Fata was negated of its basic rights that put question mark on merging. “We need a separate province and not merging and we require our own Khasadar and Levies Forces and not police system in the area”, they opined. They threatened that if their demands were not meet, they would set on fire, the newly initiated anti-narcotics checkpoint in Sheen Kamr area of Bara.